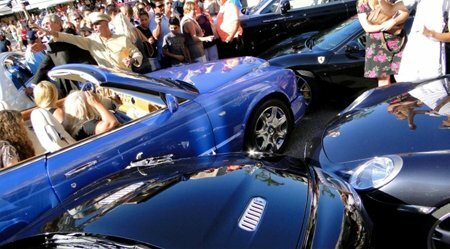 A blonde woman driving a Bentley crashes into an Aston Martin, Ferrari, Mercedes, and Porsche. Insert punch line here. This is what happens when people have more money than brains. More specifically, when rich men end up marrying blonde bimbo trophy wives.